HomeSuspiciousGadjetMart Review: What is GadjetMart.com? Scam? GadjetMart Review: What is GadjetMart.com? Scam? GadjetMart.com might be a scam because there are lots of negative things about this online store. Yes, GadjetMart might be a scam. 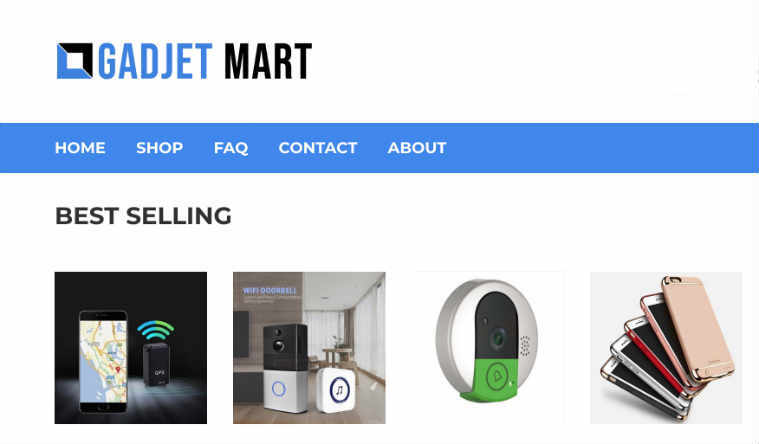 Now let’s find out why we think Gadjet Mart a scam, what can make a GadjetMart scam, what is Gadjet Mart in real through our Gadjet Mart review here. OK, let’s begin with our GadjetMart.com review. Above screenshot is taken from GadjetMart.com website. # The trust seals that “Gadjet Mart” has provided on its product detail pages are not clickable. However, the real trust seal logos should be clickable so that we can click on them which will send us to the official website of respective trust seal providers to verify those trust seals. So, it is clear that GadjetMart is providing the fake trust seals, not the real ones, which is definitely not a good sign. # Although GadjetMart.com provides the option to purchase the items using the credit card, it hasn’t provided the required security measures to secure the credit card information and has tried to trick people by showing the fake trust seals. So if you shop at this site, your credit card information can be stolen. # The address (P.O Box 352 East Setauket New York US 11733) which GadjetMart has provided on its website has been used by another suspicious online store known as Ondemanddealz. However, legit websites always provide a separate address, not the one which has been used by another suspicious site. Legit sites will mention on their website if they are linked with other sites. However, GadjetMart.com hasn’t provided any information about its link with other sites whose address it has been using. So, it is clear that GadjetMart.com has been operating and running by the same person who doesn’t want to reveal the list of multiple sites he/she owns which obviously rings the big warning bell. # The website theme, website script, list of products and so on of GadjetMart.com look similar with Ondemanddealz. So, there is a high chance that GadjetMart.com and Ondemanddealz have been operating by the same owner. Now it is clear that GadjetMart.com is a suspicious website through our GadjetMart.com review as above. However, if you still want to add your own GadjetMart.com reviews or want to say something about it, then please feel free to leave your comment below. If you want to share this GadjetMart review with your friends and families through your social media accounts to make them aware of this company, then please feel free to do so.